Writing advice for my younger self | Thinking is the enemy. I was 22 years old when I decided I wanted to be a writer. Sure, I enjoyed writing before that, but it was the summer before my senior year in college that something finally clicked inside, and I truly felt committed. Now, as I look back at 22-year-old me, I have to laugh. Yes, I was earnest and committed — but I had a lot to learn. What if I could travel back in time and give myself some advice about being a writer? What would I tell myself — assuming I’d actually listen? Don’t be embarrassed about what you read, whether it’s science fiction, poetry, or children’s books. Read a little of everything. You’ll learn from all of it. Be patient and develop good habits. Write every day, and don’t worry about how good it is. Your writing will improve — I promise. Get together with other writers not for critique sessions, but for support and encouragement. It’s never that difficult, sadly, to find a critic. Stay true to yourself. Being an artist of any kind requires making some hard choices, many of which involve allotting your limited time in order of your priorities. This will make a lot of people unhappy with you. Ask for help. It has been a wonderful surprise to me just how kind and supportive the writing community can be. Most writers will bend over backwards to help one another — so just ask. Politely. Be kind. Especially to yourself. This is especially important when you get a rejection. Turn off your cellphone and go outside. Distractions have become much more powerful over the past 20 years. Make time to get away from your screens — and other people — to be alone with your thoughts. Be strong by embracing your weakness. Identify what makes you uncomfortable as a writer and give it a shot. No idea about how to write in second person? Try it out. And last but not least, realize that even if you’re not Shakespeare, you can still become a great writer — by writing. And all those people who have a flair for a clever turn of phrase or a striking image, but don’t write unless inspiration strikes? They just don’t stand a chance. Do you have any advice for your younger writer self? 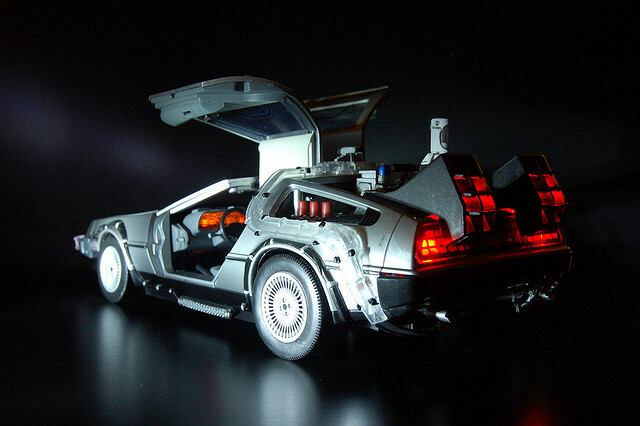 This entry was posted in Writing and tagged advice for writers, time travel, writing advice. Bookmark the permalink. This is a gem, Chris. I really took something away from this. I especially enjoyed the point about getting together with other writers for support. Thanks for sharing. When I look back on it, the tendency to tear people down in many of my early workshop experiences is just astounding. Stay positive, man. My advice to myself as an editor: Be more flexible. Don’t get caught up in “rules” and do understand that stylebooks are offering advice, not edicts.